How can you keep floor surfaces looking great, reduce the wear from traffic, and generally keep them in tip-top condition without spending a fortune on expensive maintenance plans? 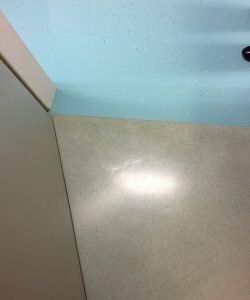 In important facilities such as public building, schools, hospitals, etc., how can you maintain your floors with minimal disruption? And, most importantly, how can you keep people safe by ensuring your floor stays slip-resistant, even in wet conditions? 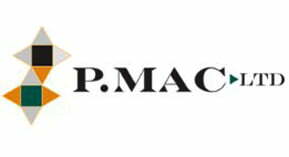 P Mac has the answer! 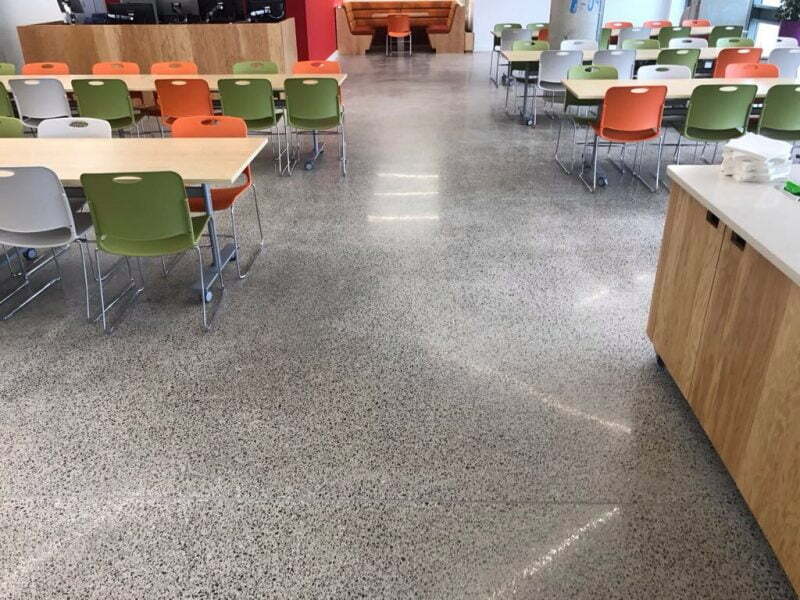 Wearmax is a unique, high-tech ceramic floor sealer. It is a highly effective floor coating which gives you protection against dirt, scratches and can render your floor slip resistant even in wet conditions. 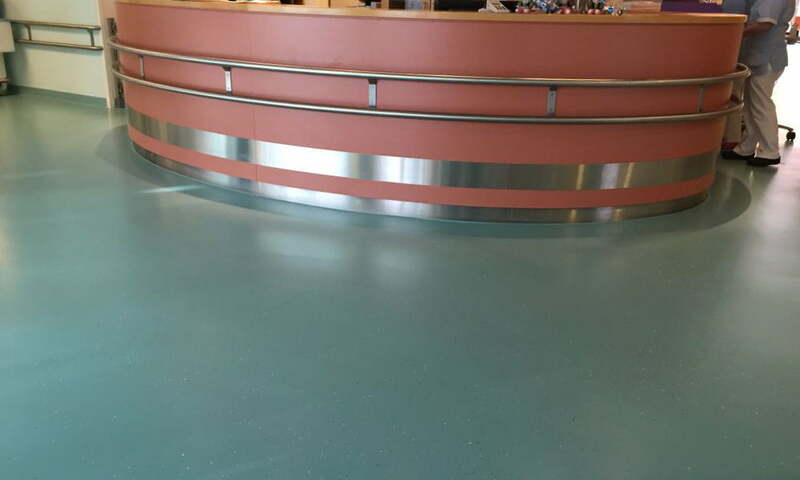 We can apply Wearmax to heavily used floors such as shops, offices, reception areas, hospitals and schools. Floors are guaranteed to last longer, look better and can be the safest floors available when coated with Wearmax. 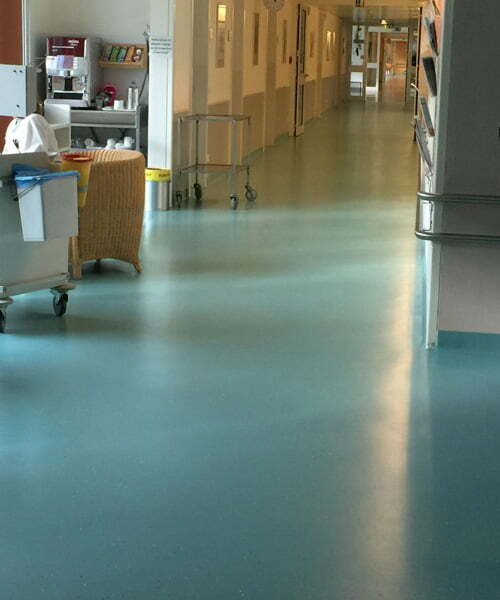 A floor surface coated with Wearmax is considerably more resistant to wear and scratching. It also greatly enhances the look of your floor. Ideal for restoring a tired floor coming to the end of its lifecycle. Wearmax makes maintenance cleaning easier. As a result, you work more economically, more environmentally friendly and you will greatly reduce your life-cycle costs. Conclusion: low risk of slipping, either wet or dry. 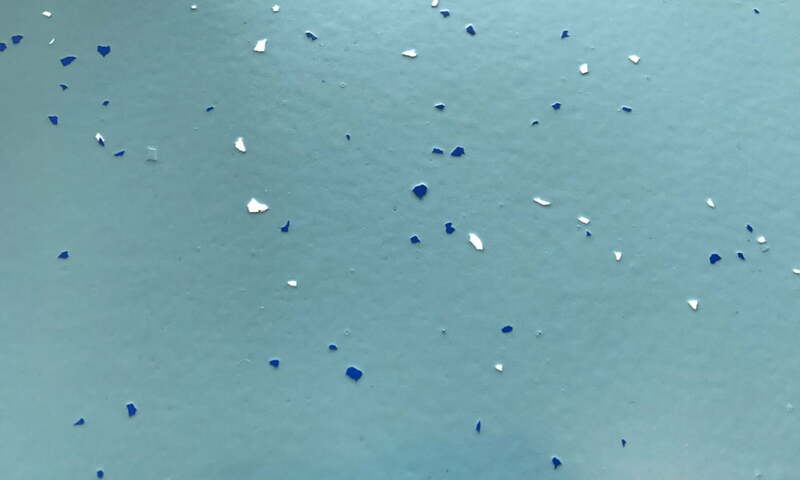 Wearmax is a highly effective floor sealer containing thousands of tiny ceramic components. It offers you an attractive, easy to clean finish that is considerably more resistant to wear, scratches and slips than any other seal or coating. Wearmax is a three-tiered sealing solution. The first coat is the primer which is specially formulated to generate adhesion on the floor surface and prepares the surface to take the second coat – the Wearmax Armor. This contains ceramics and provides the actual main wear-layer. The ceramic particles generate an extremely hard and enduring protection against daily wear and tear. 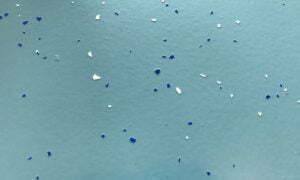 Due to the dense and even particle distribution across the entire surface excellent protection of the coated surface is achieved as well as excellent traction due to the fine roughness generated by the exposed ceramic particles. Excellent traction is provided even on damp and/or wet surfaces. This provides the top coat that generates certain gloss values and protection of the Armor coat against dirt and soils. This product performs with excellent resistance against diluted acids and alkaline substances. Cross-Linker cleaning plus the individual layers allows these layers to bind together and enhance the chemical and stain resistance of the finished surface. Wearmax provides excellent traction, even in damp or wet surfaces. Where can you use Wearmax? Wearmax is available in all RAL colours as well as clear (matt, satin and gloss) and can therefore greatly transform even the drabbest of floor surfaces. A 5 – 10 year warranty (5 years in a commercial environment and up to 10 years in the healthcare sector). There are examples of Wearmax being applied to floors 15 years ago and still looking as good today as on day one! Surfaces that are easy to maintain, offering the opportunity to reduce cleaning and maintenance costs. A range of RAL colours allowing individual choice and can include coloured chips or individual designs as required. Incredible anti-slip properties – WearMax includes a slip-resistant surface to 40+ pendulum test values (BS 7976) – 5 year warranty. This floor was treated with Wearmax 14 years ago, on a vinyl floor that was already 25 yrs old. Download our Technical Data Sheet! There are different types of finishes available in the Wearmax range of floor coatings, to suit different environments. Ideal for hospitals, nursing homes, clinics, doctors’ surgeries, etc. It reduces bacterial attacks and is highly resistant to chemicals. 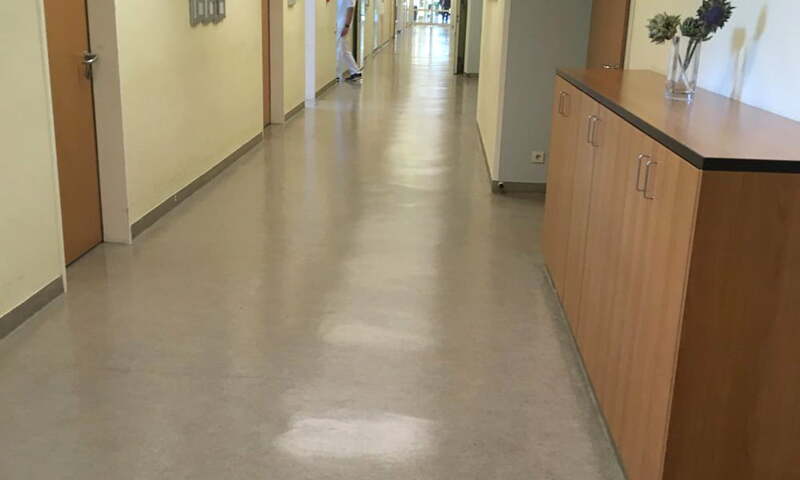 Wearmax’s superior slip resistant properties and ease of maintenance render it the ultimate and safest floor coating for all medical facilities. Ideal for those extremely heavily used floors such as shops, offices, public buildings and schools. The Wearmax surface is considerably more resistant to wear and scratching than any other conventional sealer, and greatly enhances the appearance of your floors. Suitable for sports floors, rendering them super slip-resistant and offering long-term protection against wear and abrasion. Sports floors treated with Wearmax not only look fantastic, but their life span is greatly extended. Offering heightened protection against scratches and abrasions on all wooden floors. No more costly and intrusive cyclical sanding and varnishing is required. By treating your wooden floors with Wearmax Wood, you are greatly increasing the value retention of your floor.